What elements determin the quality of a video? When asked this question, the first thing that comes to your mind might be tha quality of the picture, including the resolution and something like this. Sure, what is seen in the video is indeed important, but what is heard is also important for a video. For example, videos with DTS sound system can bring a much better watching experience than those without it. But what is DTS anyway? How to play a DTS video? Let’s find out together today. Home theater is full of monikers and acronyms, and one of most recognizable acronyms in home theater audio are the letters DTS. DTS stands for Digital Theater Systems (now officially shortened to just DTS) and is a series of multichannel audio technologies specializing in digital surround sound formats widely used in film industry, music sharing, and Home Theater. Stephen Spielberg debuted the format in 1993 to improve the sound quality and his Jurassic Park was the first home video release to contain DTS sound. With a DTS player or DVD player hooked up to a surround home theater or receiver with built-in DTS decoder, you can play DTS files movie blockbusters on computer at home with theater effect to enjoy the high definition audio quality. As a home theater audio format, DTS (also referred to as DTS Digital Surround or DTS Core) is one of two (along with Dolby Digital 5.1) that got their start with the Laserdisc format, with both formats migrating to DVD upon that format’s introduction. Beside DTS, there are also some others audio format. A file with the AC3 file extension is an Audio Codec 3 file. Much like MP3s, the AC3 file format uses lossy compression to reduce the overall size of the file.The AC3 format was created by Dolby Laboratories and is often the format used in movie theaters, video games, and DVDs. If you use Apple’s iTunes software to organize your digital music library, then you probably already know that the default format that it uses is AAC. If you also buy songs and albums from the iTunes Store, then the files you download will also be AAC (the iTunes Plus format to be exact). So, what is the ALAC format option in iTunes? It’s short for Apple Lossless Audio Codec (or simply Apple Lossless) and is a format that stores your music without loosing any detail.The audio is still compressed like AAC, but the big difference is that it will be identical to the original source. This lossless audio format is similar to others you may have heard of such as FLAC for example. To really enjoy Home theater, the first thing you need to do is to find a media players that support DTS. Actually, Windows Media Player, VLC, etc and many media players are with certain plugin support DTS. But they do not become the best ones as DTS requires a professional and excellent DTS player to render the most touching multi-surround sound at home just like in the theater. So, here are some top DTS players recommended for you to play DTS. Though its name might make you think that this tool has been made exclusively for playing Blu-ray discs, Leawo Blu-ray Player is actually can be used as a simple audio player that can play DTS audio in lossless quality. And it can also capable of playing videos from DVD discs, from ISO images, from local disc folders, and from local standalone multimedia files as well. Furthermore, though it’s a free tool, it’s also comprehensive and powerful, being capable of playing up to 1080P HD videos. Selecting specific subtitles and tweaking the parameters of the video and audio streams are also possible. It’s also worth mentioning that this feature-rich tool supports playlist, custom skins, and a large variety of video file formats. 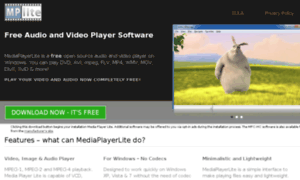 This free DTS player is also a low-CPU occupying media player. 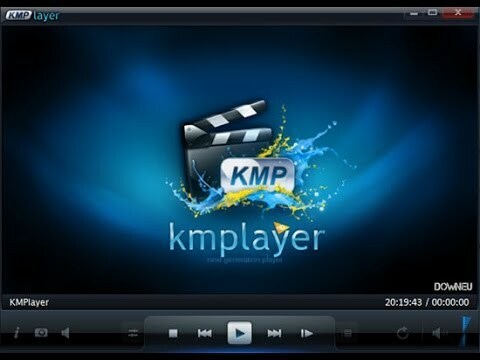 MediaPlayerLite is a free and open-source DTS player based on Media Player Classic – Home Theater, which means it has all the features MPC-HC have so that you can not only use it to play DTS files, but also play other audio, video and image formats like WAV, WMV, WMA, JPEG, ASF, MP3, MP4, AVI, FLV, etc. Besides, it has a batch-conversion functionality for many files to be converted.However, it is only designed to open DTS files on Windows XP, Vista & 7. Today we introduced three video players that can play DTS videos. All of the three players are good choices if you want a nice DTS playback experience. In order to allow you have a clearer view, I have listed some of the key features of the three players. You can choose your desired DTS player software after comparing them. After the comparison, we can easily have the conclusion that Leawo Blu-ray Player is the overall best DTS video player, unless you want an open source player like Media Player Lite. 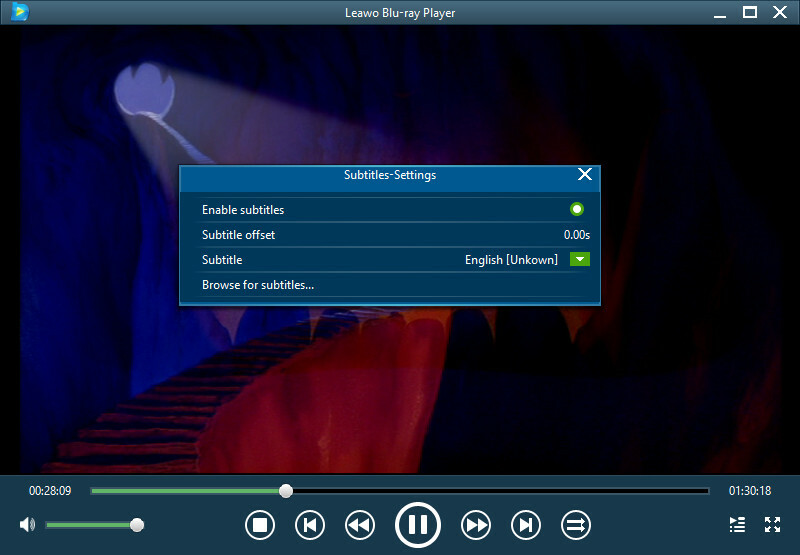 With multiple playback support and a stable performance, Leawo Blu-ray Player can totally be your default media player in your computer. With any one of the three players introduced above, now you should be able to play your DTS video without any trouble. However, if you still want a better experience with your DTS video, it is suggested that you burn your video to a Blu-ray disc as a Blu-ray playback can bring you a whole different experience than the playback on your computer. So how do you burn a DTS video to a Blu-ray? The answer is using Leawo Blu-ray Creator. As a professional Blu-ray buring program, Leawo Blu-ray Creaor can burn your DTS video to a Blu-ray disc with all of the video and audio details retained. It’s easy to burn DTS video to a Blu-ray. Follow the instruction below and you should be able to do it within a short time. Step 2: Import your DTS video by clicking the “Add Video” button or drag the file and drop it into the program. Step 3: If you want to do some further edits to your video after importing the file, click the edit button on the video, you can trim, crop, add special effects, add watermarks, or turn 2D video to 3D in the built-in video editor. 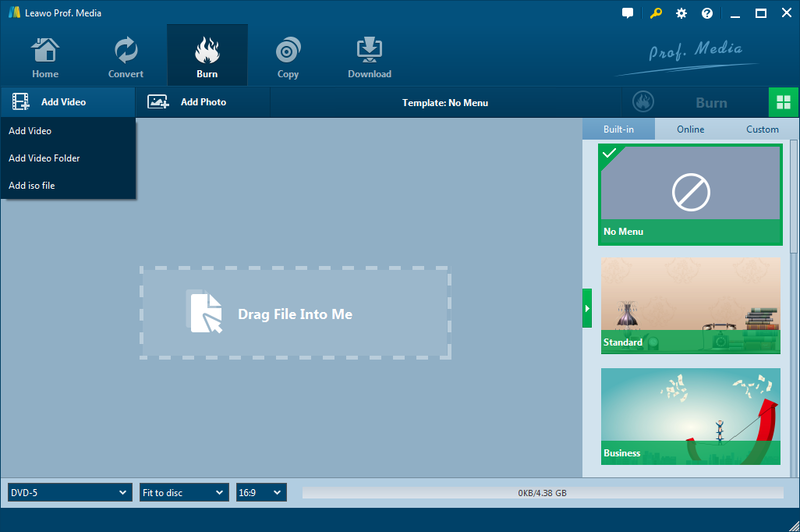 You can also create a Blu-ray menu based on the built-in or online Blu-ray menu templates. 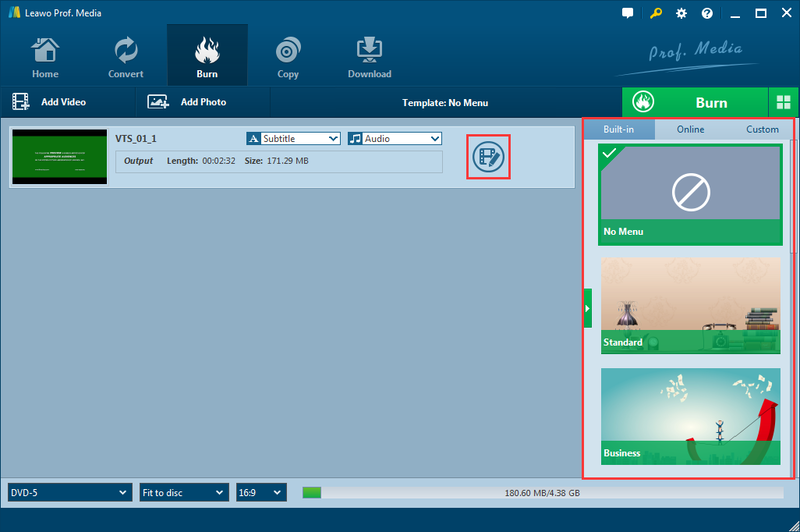 Step 5: Finally, click the green “Burn” button to call out the burning setting panel, where you can set output format, whether you want to create an ISO file or folder, or you want to burn your video to an optical Blu-ray disc. Then set an output directory. When you have set all of that, click the burn icon below to start burning. You DTS video would be burned onto your disc within several minutes to hours.